Mix all ingredients in a blender or food processor until smooth. Pour into 2 tall glasses. 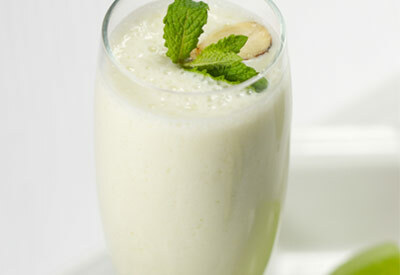 Garnish with sliced almonds, fresh mint and dollop of honey, if desired.